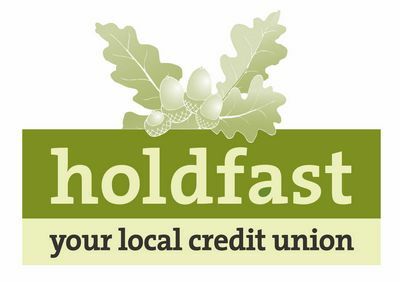 Holdfast Credit Union is committed to protecting our members’ privacy. We require any information marked as mandatory for membership to either meet legal obligations or to enable us to perform our contract with you. Where you are not able to provide us with this information, we may not be able to open an account for you. Where we request further information about you not required for these reasons, we will ask for your consent. Holdfast Credit Union does not directly send information to any country outside of the European Economic Area. However, any party receiving personal data may also process, transfer and share it for the purposes set out above and in limited circumstances this may involve sending your information to countries where data protection laws do not provide the same level of data protection as the UK. For example, when complying with international tax regulations we may be required to report personal information to HM Revenue & Customs which may transfer that information to tax authorities in countries where you or a connected person may be a tax resident. Holdfast credit union will need to hold your information for various lengths of time depending on what we use your data for. In many cases we will hold this information for a period of time after you have left the credit union. To read our policy for retaining members data please see the GDPR (General Data Protection Regulation) section below or contact us on 01376 516994. We can update this Privacy Statement at any time and ideally you should check it regularly here for updates. We won’t alert you for every small change, but if there are any important changes to the Statement or how we use your information we will let you know and where appropriate ask for your consent. You have t the right to access your personal data and details of the purposes, the categories of personal data concerned and the recipients of the personal data. Providing the rights and freedoms of others are not affected, we will supply to you a copy of your personal data. You have the right to have any inaccurate personal data about you corrected and, taking into account the purposes of the processing, to have any incomplete data about you completed. However, you may not erase the data where we need it to meet a legal obligation or where it is necessary for the establishment, exercise or defence of legal claims. where you have objected to processing, pending the verification of that objection. Where processing has been restricted on this basis, we may continue to store your personal data. for the protection of the rights of another natural or legal person. you have the right to receive your personal data from us in a commonly used machine-readable format or instruct us to send this data to another organisation. This right does not apply where it would adversely affect the rights and freedoms of others. To the extent that the legal basis for our processing of your personal data is your consent, you have the right to withdraw that consent at any time. Withdrawal will not affect the lawfulness of processing before the withdrawal. If you consider that our processing of your personal information infringes data protection laws, you have a legal right to lodge a complaint with Information Commissioner’s Office which is responsible for data protection in the UK. For more information about how your rights apply to your membership of the credit union or to make a request under your rights you can contact us at info@holdfastcreditunion.co.uk or on 01376 516994. We will aim to respond to your request or query within one month or provide an explanation of the reason for our delay.